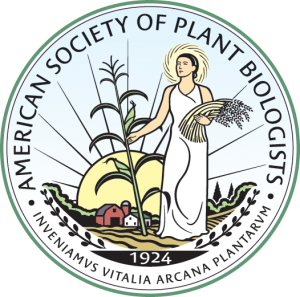 Corresponding authors publishing in Plant Physiology who are members of ASPB have their articles made freely available upon publication as a member benefit. Nonmembers who work at a subscribing institution pay $950. Nonmembers working at an institution without a subscription pay $1500. ASPB retains copyright. Authors whose work is published in The Plant Cell may purchase immediate free access for $950 (if they work at a subscribing institution) or $1800 (if their institution does not have a subscription). ASPB retains copyright. For authors whose funders require that the work be published under a Creative Commons or similar license, ASPB offers a CC-BY license for $2000. The CC-BY license allows noncommercial and commercial reuse of all or part of a paper without restriction. On behalf of all authors, the ASPB journals deposit final published articles in PubMed Central for release 12 months after the date of publication (unless a free-access option applies). Permission to reuse part or all of a copyrighted work published in an ASPB journal is granted without fee for personal or educational use, provided that copies are not made or distributed for profit or commercial advantage and that copies bear the full citation, the journal URL (www.plantphysiol.org; www.plantcell.org), and the following notice: “Copyright American Society of Plant Biologists.” Please request permission in writing from the Copyright Clearance Center if the use is commercial or if you wish to make multiple copies other than for educational purposes. Please note that the ASPB journals allow authors to reuse their content for any purpose (noncommercial or commercial) without written permission from ASPB, so long as the original source and a copyright notice are cited.